The Multiband Compressor brings together all the vital controls of multiband compression within this easy-to-use interface. With 3-band compression, Brick-Wall limiting, L/R Swap and Curve Mode EQ, this compressor is a powerful and flexible solution for any mixing or mastering project. Move the crossovers to define the frequency bands, adjust the Gain, add compression and Solo each band individually to create your sound with precision. 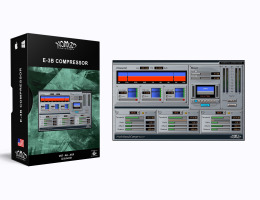 This powerful compressor is ideal for any studio environment.